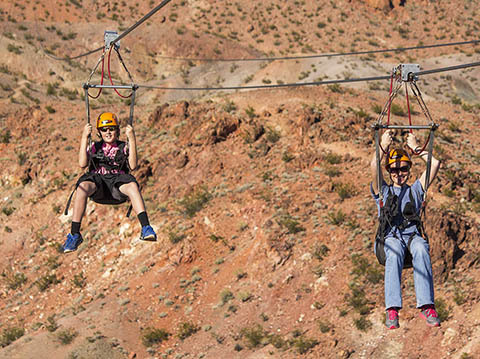 Zip down the Zipline at the Lake Mead National Recreation Area. This experience is amazing! Speeds up to 60 miles per hour. A must for adrenaline junkies. 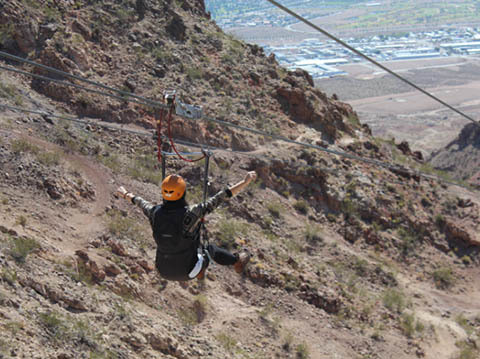 Travel over 1.5 miles of ziplines that span over four distinct runs. 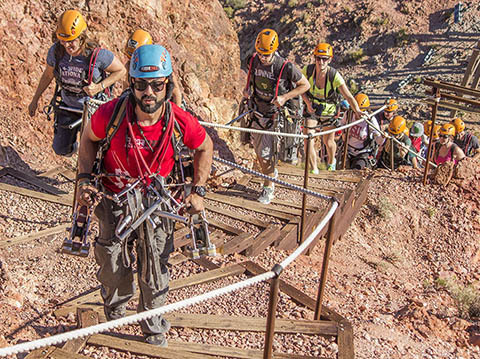 View glimpses of Lake Mead as you fly over the Red Mountains in a paragliding harness. The distinct buzzing of the steel cables will fill your ears as you embrace the thrill of speed and the exhilaration of flight. Along your journey you'll be captivated by the scenic desert landscape and vast blue skies. Wildlife sightings are common on the tours. The canyon is home to: red-tail hawks, chuckwallas, big horn sheep, and more. Your knowledgeable guides, while ensuring your safety and comfort, will provide historical, geological, and ecological information, and make you laugh all at the same time. 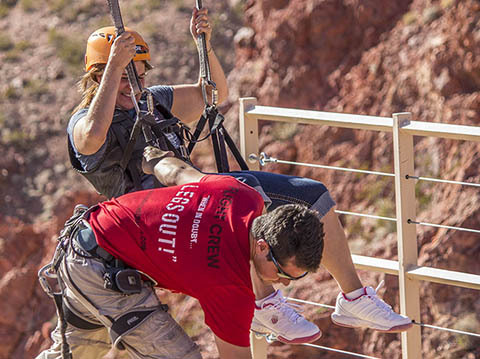 Bootleg Canyon Zipline is a true adventure to do while in Las Vegas.